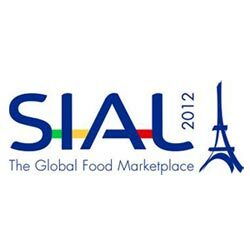 PATRAIKI WINES proudly presents its new image and brand line in SIAL. Approaching its 100th year of operation, Patraiki Wines, one of the biggest and oldest Greek wineries, has implemented a full rebranding program and proudly presents its new image and brand line during Sial exhibition 2012, in Paris. Having invested in new mechanical equipment and production methods, emphasizing on the quality of wine and modern, convenient packaging, Patraiki Wines proves that tradition, elegance and quality can fit very well together. The company has a very big product portfolio with excellent awarded wines. The same time, its conservative pricing policy keeps its quality products accessible to the public. Every year Patraiki Wines produces more than 10.000 tons of wine which are sold in Greece as well as in other countries in Northern Europe, USA and Australia.